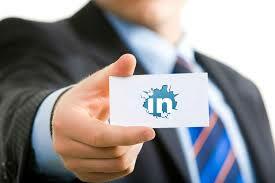 If you are doing business today, chances are, you are on LinkedIn. If you are there great. Now what? I see so many people who expect LinkedIn to do the work for them and this is a total waste of your time if you are operating under that mindset. There are so many things you can do like optimizing your page for search and utilizing your headline to showcase current projects or really tell people who you are, but the one thing I see people doing wrong is that they simply do nothing. Duh right? But honestly, when was the last time you shared any content or participated in your groups? If you are thinking "what groups?" you need to rethink your LinkedIn strategy but in the meantime, don't go stealth on LinkedIn. In other words, the more meaningful and helpful content you share, the more you will show up in the feed of your connections and the more likely they will be to think of you the next time they need your products or services. I don't mean to simplify the platform because there are so many things you can do to increase your visibility and usefulness on LinkedIn and I am more than happy to train you on how to make the most of the platform. But simply participating in the platform will gain you a top spot in the minds of your connections and set you on your way to success. Shane thank you for your useful information.